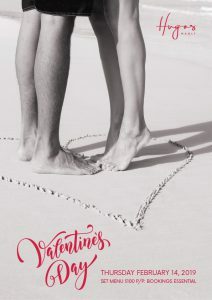 Recognised as a significant cultural, religious and commercial celebration of romance and romantic love in many regions around the world, Valentine’s Day is celebrated annually on 14the of February honouring Saint Valentine. 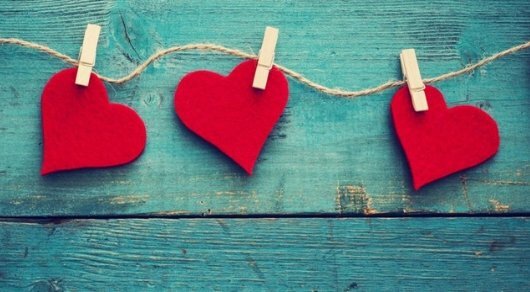 And because Valentine’s Day is all about LOVE, we have put together a list of fabulous restaurants and events to make Valentine’s Day special. Spaces book quickly, so make a reservation today! 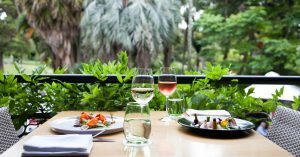 Savour a 4-course degustation menu accompanied by a glass of sparkling in the heart of the Royal Botanic Garden Sydney. Fall in love all over again in the open-air and leafy surroundings. Fall in love all over again with a 4-course feast and a glass of rose surrounded by a magical secret garden with over 18,000 flowers and plants in the Royal Botanic Garden Sydney. Go above and beyond this Valentine’s Day. 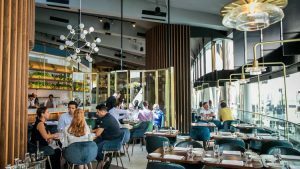 Ascend 85 levels above Sydney for a sky high feast that towers above the rest. Enjoy an unlimited buffet dinner of 55+ gourmet dishes with a Strawberry Bellini cocktail on arrival plus selection of chef specials. 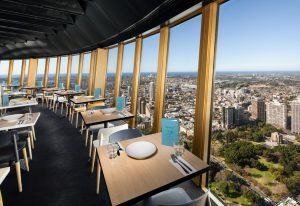 Enjoy the refined complexity of Aria’s tasting menu, coupled with Sydney’s unparalleled views for a memorable evening. Treat your special someone this Valentine’s Day and indulge your senses in their 4-course Valentine’s Dinner, complete with a flute of Piper-Heidsieck champagne on arrival. 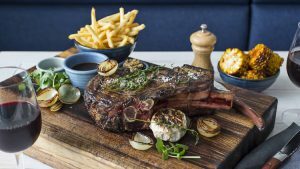 Their Valentines Menu offers a delectable selection of Culinary Director Chef Sean Connolly’s signature dishes – with the starter and dessert courses designed to share and tailored to the ultimate foodie couple. Add a little love potion to your night with a selection of oysters and clams. Say it with a four course meal! Treat your loved one to an intimate 4-course set menu with a glass of Ruinart on arrival this Valentine’s Day or enjoy a mean plus all your Sokyo favourites or indulge in a scrumptious meal and amazing harbour views, or impress them with plenty of floral decors – your choice! The Star Sydney has these all in store for you and your loved one. You may choose from their varying venues whichever suites you best. Their chefs have prepared exquisite menus from the hear. 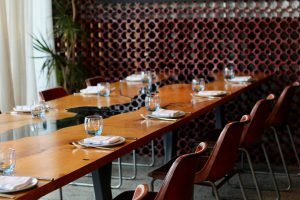 Wine and dine your Valentine at The Star. 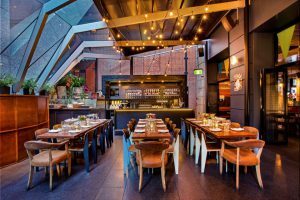 There’s not many places in the city that have nailed casual European dining as expertly as the team at 10 William Street. 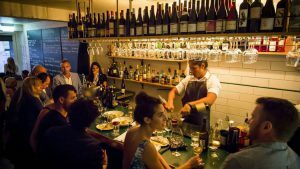 Even if this tiny wine bar and restaurant looks packed from the street, it’s worth seeing if there’s not a table upstairs. Visit and enjoy wine or carbs. There’s no point arguing whether you’ll be there for wine or food as we both know you’ll be there for everything they’ve got! The gleaming pretzel, the aroma spaghettini with shellfish, garlic, and chilli, or the cheeky glass of vino will definitely get you. Celebrate with that special someone at Sydney’s House of Fun! Treat your special someone to a delicious share style set menu, created especially for the day of love. With waterfront views in the bea-utiful surrounds of Bea restaurant and a glass of Ruinart Champagne on arrival you’re sure to impress any guest. You can also purchase a box of House-made chocolates for an additional $12. Please note only the Valentines Day set menu will be available for dinner on Thursday 14 February 2019. Treat your loved one to a romantic lunch or dinner this Valentine’s Day at Rosetta Ristorante. Enjoy a glass of Champagne or cocktails in the sun on the terrace before sitting down to a beautiful Italian meal. Lobster till your heart’s content! Treat yourself and a loved one this Valentine’s Day to a lobster feast fit for a King or Queen. Includes a his and her cocktail on arrival, lobster bisque, lobster platter, lobster mac and cheese and more. Not to mention a gin and tonic trifle to finish! Share a meal with someone special at Via alta and enjoy their bespoke shared menu. 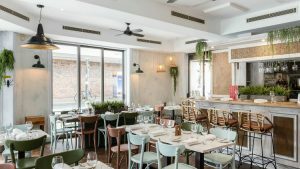 Expect clean, classic cooking with the flavours of Northern Italy at this neighbourhood trattoria and finish the meal the Italian way, with a digestif and dessert. The specialty here is the ‘barbajada’ – a tribute to the Milanese hot drink, involving a creamy Amadei chocolate and coffee blancmange dressed with sticky caramel, vanilla gelato and crushed hazelnuts. This Valentine’s Day treat your loved one to a New Orleans, Louisiana inspired three course dinner. 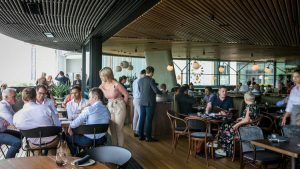 Plus, you’ll also get to enjoy water views, an extensive wine selection, some of the best atmosphere in Barangaroo and Champagne Taittinger Cuvee Prestige all day. It’s time to get loved up again peeps! Spoil that special someone this Valentine’s Day with a Japanese feast at Daniel San. Make a booking with them and they’ll treat you to a complimentary glass of bubbles on arrival. Then make your way through your favourite dishes. Their chefs are even preparing some cute as a button Valentine’s specials for you to try. Spoil the one you love at Hugos this Valentine’s Day. 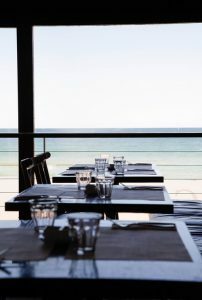 Join us for an a la carte lunch or come in for dinner, have a glass of Veuve or Peroni and enjoy a romantic sunset over the spectacular Manly Cove. Spoil that someone special this Valentine’s Day and enjoy a heavenly 3 course menu paired with a glass of Moet & Chandon on arrival. Romantic live guitarist playing all night. 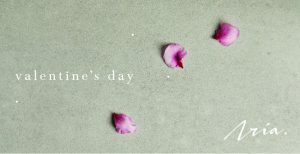 A set menu showcases some of their best dishes made with the freshest local produce for Valentine’s Day. It’s that time of year again where we celebrate Saint Valentine and give a little extra lovin’ to our significant others. We know the way to anyone’s heart (not just a man) is through their stomach, so they’ve put together a beautiful bespoke Valentine’s Day menu that starts with a glass of Piper Heidsieck champagne to really set the mood for the night. Another year, another Valentine’s! It’s that time of year again and Ruby Lane were wondering what they could put on this year to make this lovely occasion a remarkable experience! Since life’s all about the unforgettable experiences you collect, Ruby Lane would like to make this Valentine’s Day another exceptional experience for you. 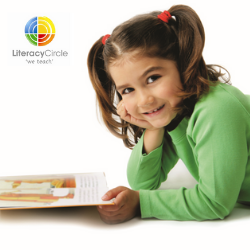 Join in for their Mindful 3 course Valentine’s dinner. Celebrate with someone special with a romantic shared banquet menu. BYO wine is not allowed, however a fully licensed bar is available to order from. Their usual Pasta Night special will not be available in lieu of this special event. Pack a picnic, gather the loved ones and celebrate with a cinematic night out under the stars! Australia’s favourite and biggest outdoor cinema, Moonlight Cinema returns to stunning inner city parklands in Sydney. Spoil your sweetheart aboard The Charter’s luxury catamarans. Treat your love to a luxury cruise with The Charter. The 2 vessels are running multiple cruises to accommodate your busy schedule and allow flexibility with your Valentine’s Day plans. Perched on King Street Wharf looking over the harbour, The Loft is the perfect place to spend a girl’s night. 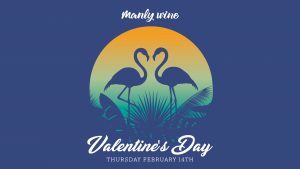 Join us for Sorbet Sessions this Valentine’s Day and enjoy 2 hours of bottomless sorbet cocktails with matching share plates. Two of the most authentic and loved figures in Australian music, John Butler Trio and Missy Higgins take to the iconic steps of Sydney Opera House to deliver new and old favourites for an unmissable double-bill that’s sure to make music history. Join in for a thrilling single-mingle event: Speed Dating in the Showers! Single gardeners and mingly backyard farmers – this one’s for you! They’re combining their stellar skills of weeding veggie beds with their less practiced skills of match for a Valentine’s Weed Dating Special. 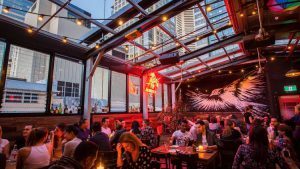 Come and meet like-minded humans on the veggie beds and watch that inner west skyline get all golden as the sun goes down. You can then choose from a selection of telescopes and watch the stars with your loved one.